Cyber insurance offers coverage against a suite of first party and third-party risks. 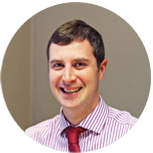 Aaron specialises in Commercial Insurance, have a question or need advice about the best cover for you and your business? Give Aaron a call! Aaron manages the business at Travers Insurances, as a Chartered Insurance Broker with 18 years experience, he has a wealth of knowledge and experience in all aspects of the Insurance Industry. His areas of expertise are Commercial Insurance Broking, Corporate Accounts, Insurance Risk Management & Claims Management. Aaron developed an exclusive Motor Trade Insurance scheme for members of the Irish Tyre Industry Association and Travers & Co. Insurances Ltd were subsequently appointed as the approved Insurance Brokers for members of the ITIA.